Robert “Boogie” Bowles may not be a household name but many of the songs he’s played on are. His guitar licks and grooves are heard on countless hit records. Ever hear the intro to “I Will Survive”? That’s just one of the memorable songs that showcase Boogie’s talents. He’s arranged and performed on a vast array of popular songs over the years. “If I Can’t Have You” and “Heaven Must Be Missing an Angel” are two more examples you might recognize. Today, Boogie tours with the legendary Smokey Robinson. On his latest CD, The Best of Boogie, the seasoned guitarist presents a compilation of songs he’s recorded over the span of his career, including selections with a live rhythm section and others that feature only acoustic guitars. Boogie also debuts his vocals on the upbeat track, “Life Mates.” This collection showcases the musician’s writing, performing, and arranging talents. The Best of Boogie is now on sale at CDBaby. Harlem, New York born and Grammy awarded singer Patti Austin was graced by tremendous success in her solo career. Especially during the 80’s she had her most prolific hit making period. She worked with legends like Michael Jackson (Off The Wall), George Benson (Moody’s Mood for Love), Luther Vandross (I’m Gonna Miss You In The Morning), Johnny Mathis (You Who Brought Me Love) or James Ingram (Baby, Come to Me). She recorded seventeen studio albums. Her newest one is Sound Advice, which will be released this year at Shanachie Entertainment. “Superlatives just don’t tell the story. Sure she’s an amazing singer, but it’s the depth of feeling in Patti’s heart and soul that she expresses through her music – that’s what the whole world loves about Patti Austin,” says Danny Weiss, VP Jazz A&R for Shanachie Entertainment. For additional information about this brilliant album read the notes below. When British pop and soul singer Des’ree released You Gotta Be in 1994, she never expected that this infectious song would have been so well received. 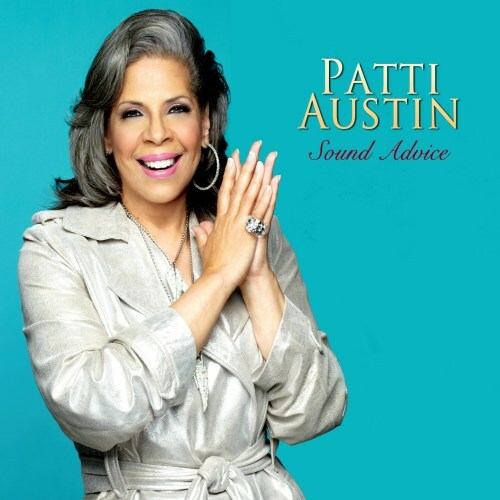 Patti Austin soon recognized the potential of this song and presented it as her contribution to the 2003 album Church – Songs of Soul and Inspiration. Powered by the Fire Choir her rendition is a firework of Gospel music. Music standing the test of time,the recording started in Detroit, has now spread across the world. Jazzy vocals, instrumentals, beautiful love songs. Music with a meaning, haunting melodies, feel good music for everyone. Especially the title song My Favorite Thing featuring Hari Paris was often played at radio stations around Chicago. Calvin’s love of music and his undeniable talent garnered him a “gig” with Martha Reeves and the Vandellas of Motown fame. For fifteen years he toured the world and shared the stage with the premiere entertainers of the 1970’, 80’s and 90’s fine tuning his vocal skills and becoming a virtuoso on the guitar. Calvin’s influences are many, however Wes Montgomery, Grant Green and George Benson top the list. In 2003 Jeff Popp met Calvin Brooks and after finding they had similar experiences and a unwavering love of music they became an impressive duo. Showcasing their vocal and instrumental skills they cover the sounds of Motown as well as the jazz standards to great reviews. A devoted family man, Calvin decided to “come off the road” and in 1999 he along with his wife Cheryl and their sons relocated to Las Vegas. He has become a mainstay on the “Strip” ever since. Calvin along with Jeff Popp can be seen Sunday through Wednesday nights from 5:30pm – 10:30pm at the Range Steakhouse Lounge inside Harrah’s Hotel Casino. Their reviews have been excellent. My Favorite Thing is now available at CDBaby. Pianist Monika Herzig Invites You on a Journey with New CD/DVD Release Come with Me. Pianist Monika Herzig will present her second Owl Studios release entitled Come with Me in March 2011. The CD/DVD combo reflects a unique partnership between musicians, the Owl Studios label and award-winning documentary filmmaker Susanne Schwibs. The journey comes to life with a 30-minute documentary that includes a variety of visuals, concert footage, and interviews, as well as special features of live performances. In addition the package includes a full-length CD with originals as well as unique arrangements of standards. “I have the mud of Germany on my shoes”, bassist/ guitarist Peter Kienle proclaimed at the Arts Center in Jasper, IN as he was getting ready to perform a concert with wife/ pianist Monika Herzig and Indiana poet laureate Norbert Krapf. The couple had just returned from a concert tour of Italy and Germany and Peter’s shoes were still caked with mud after he got lost during a walk in the woods. A compilation of the wide range and great jazz produced by exceptionally talented musicians in Nashville–Music City–Tennessee. This is music you will want to share with friends, family and anyone who enjoys great music. The music does not disappoint. Jazz of Music City…1 is now on sale at CDBaby. Hailing from Towson, Maryland Drew Davidsen has showcased his guitar skills on more than 30 projects. He started his solo career with the album This Journey in 2007. A project dedicated to smooth jazz and his idols George Benson, Larry Carlton and Les Sabler. Spin Cycle is fun, funky, grooving smooth / contemporary jazz that features guitar. It was recorded in Franklin TN with “Player A”! Produced by Eric Copeland and mixed by Bill Whittington it’s a winner! This is Drew Davidsen’s 4rth album. Spin Cycle is a hip, cool, record. This album also features keyboard legend “Jay Rowe.” For more information visit www.drewdavidsen.com. The album is currently available for download at CDBaby. Although the artist Soren Reiff might be unknown for most of us, he is an in-demand musician in the music business. This Danish guitarist has already worked as musical director for Chaka Khan and David Sanborn. He also recorded with the artists Michael Brecker, Tower of Power, Robert Palmer and Toots Thielemanns. Currently he is performing as a band member, bandleader and session musician in Denmark. Last year he made waves with his new album Miss You receiving high accolades by critics and fans alike. An opportunity to study his previous work. 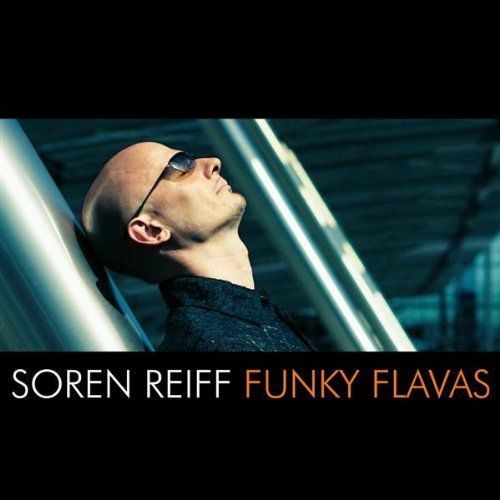 In 2003 Soren Reiff released his debut album Funky Flavas featuring musicians such as Anders Pedersen (drums), Jannik Jensen (bass), Stig Kaufmanas (keys), Flemming Nilsson (percussion), Kasper Langkjær (drums), star guitarist Mike Stern and the singers Michael Ruff, Nabiha Bensouda and Rikke Mølgaard. Soren introduces into his album with Move On Closer, a collaboration between Soren and Nabiha Bensouda. While the female singer allures with siren-like vocals, Soren’s melting guitar excels with a signature sound.